This large real elk chandelier is a great choice if you are looking for a large antler chandelier for your great room or other vaulted area. 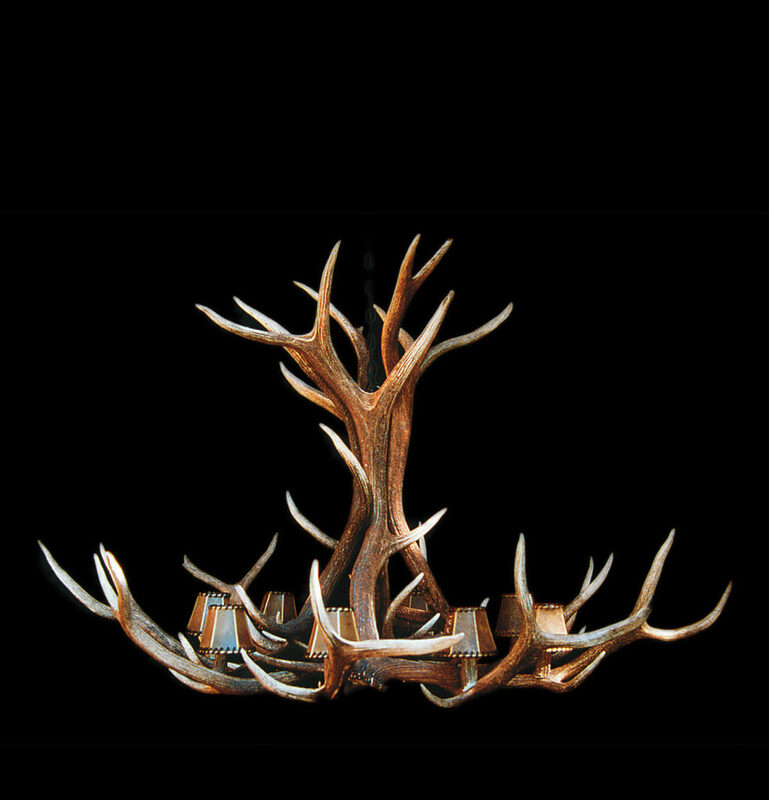 The Yellowstone Chandelier, our premier large Elk chandelier, features richly natural brown Rocky Mountain Elk antler woven into our trademark design. Our customers from California to Colorado to Texas and east to North Carolina and New York always request this Elk Antler lighting fixture as a centerpiece for their home. It’s one of Jim’s favorites to build!